When our children were in preschool, the school nurse used to push a snack cart (loaded with treats that measured up to her strict nutritional standards) from classroom to classroom each morning. She genuinely loved the kids and her job, so I was surprised to see her storming down the hall one day, her face flushed with indignation. Bewildered, the nurse stared at me for a long moment before moving on down the hall, again at a loss for words. She may have thought I was nuts, but at least she didn’t say so. That’s how I started the chapter called “Praying for a Servant’s Heart” in Praying the Scriptures for Your Children. 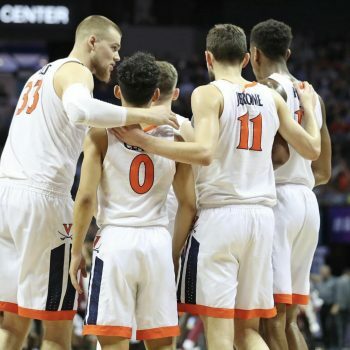 And I couldn’t help but think back to that story this week–particularly the nurse’s confusion–when I read this article about the “Five Pillars” on which Coach Tony Bennett has built U.Va.’s basketball program. 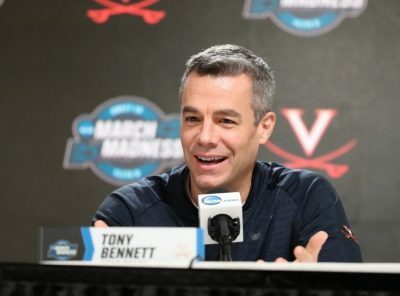 Servanthood is one of Coach Bennett’s biggies, along with Passion, Unity, Thankfulness and Humility. And it’s easy to see why most of these attributes matter–and not just on the basketball court. We cannot imagine a business succeeding without a passionate buy-in from its leadership. And as any team member (or parent!) will tell you, unity is a good and pleasant thing, and a house divided against itself cannot stand. Gratitude–whether toward other people or God–helps us focus on life’s bigger picture. And in addition to being an incredibly attractive character trait, humility equips us to withstand setbacks (cough-UMBC-cough) with strength and grace. Nobody talks about servanthood all that much anymore. It seems an odd duck in a world where everyone’s goal seems to be to get to the top. Whether it’s in the NCAA tourney, a business venture, or the grocery store checkout line, we all want to be in control. We want to be first. We want to be great. And in a culture that rarely notices or rewards an others-centered outlook, you have to wonder whether cultivating a servant’s heart is all that important. Whoever wants to become great among you must be your servant, and whoever wants to be first must be slave of all. For even the Son of Man did not come to be served, but to serve, and to give his life as a ransom for many. That’s Mark 10:43-45. And trust me: In bringing these verses into a basketball convo, I’m not being flippant. I love March Madness, but I love Jesus even more. And as we move toward Easter, I want my life to reflect His. I want to pray for–and cultivate–a heart that bends toward others. If you want that too–for yourself, or your kids–you’ll find a collection of scripture-based prayer prompts in the Children book, as well as in the Teens version. I’d go back and copy them for you right now but it’s Thursday night and U.Va. is about to tip-off against Oregon, and I really feel like they need me. So I’ll leave you with just four of my favorites (along with some bonus info  below), knowing that–win or lose–Tony’s guys have got their Pillars in place. The Philippians passage we prayed above goes on to tell us that our mindset should be the same as that of Christ Jesus, as he voluntarily made Himself nothing and took on a servant’s nature. So if you’re trying to instill a heart for service in your children (or, um, recognize it in your spouse), maybe keep the focus on attitude over accomplishment. Like, if you happen to have daughters named Hillary and Annesley and they unload the dishwasher for you without being asked, and then you realize that all of your cupboards have dirty dishes in them, don’t freak out. Affirm your little helpers and thank God for answering your prayers.